The distinction is one of great importance to car dealerships, and it’s why I want to talk about the difference between price and value. It’s also why, I believe, emphasizing the latter is how you grow your dealership. Studies have shown when it comes to selling a car, economic considerations, such as price, often fall behind emotional reasons, such as trust. According to J.D. Power, consumers see reliability as the most important factor when choosing a vehicle, after styling; price is much further down the list of why people buy. To be sure, people shop with a budget in mind. But only 38% of new-car buyers say that a vehicle’s price or its monthly payment was the main reason they chose a specific make and model. When it comes to product, price, or financing, all dealerships are pretty much equal. There is no clear competitive advantage to be won. Specific products may vary, but a Ford is a Ford and a Subaru is a Subaru, no matter whose lot it sits on. Price, too, is not much of a differentiator. Digital third-party lead providers often default to the lowest price. Appealing to consumers based on the lowest price, however, is a race to the bottom. And financing is almost identical at all stores because dealerships rely on the same credit sources. No edge there. So, how does a dealership separate itself from the competition? By making value its unique selling proposition (USP). Where price is the amount paid for a vehicle, value is what the vehicle gives back to the buyer over time. Put another way: Price is the amount of money asked for a vehicle, while value represents the amount of money someone is willing to pay. In the words of Buffet, value is what the consumer gets. Although price focuses on a single sale, value focuses on creating a lifetime customer. Which would you prefer? As a retailer, you always want to put yourself in your customers’ shoes. And as a dealer, the first thing they buy when buying a vehicle from you is risk: will they have problems with the vehicle, how it was maintained, who owned it, what kind of issues will they have with it, and so on. Your goal, then, should be to give your customers peace of mind, to alleviate their fears, and help them build confidence in their purchasing decision. One proven way to bolster the value of the products you sell is by offering a comprehensive warranty. To the consumer, a warranty provides the desired peace of mind. Many new vehicles are covered by a manufacturer’s warranty for three years or 36,000 miles, which may not be long enough. According to R.L. Polk & Co., the average length of time a driver keeps a new vehicle is six years. This means many vehicle owners could be out of warranty for half of the time they own the car. If you plan to offer warranties beyond what the manufacturer offers, there are two types: administrator obligor and dealer obligor. The first puts the responsibility on fulfilling the contract with the warranty administrator, a company independent of the dealership; the second puts all the contingent liability and risk on the dealer. The warranty type typically doesn’t matter to the consumer, but it matters greatly to the dealer. That’s because dealer obligor, in my opinion, is a product that sets the dealer up to fail: all the contingent liability is assumed by the dealership, not the administrator that’s administering the program. If you ever want to sell your dealership, you could be accumulating a lifetime of contingent liability. Most administrators want to place all the contingent liability on dealerships because they don’t want the risk even though the Magnuson-Moss Warranty Act contemplates third-party obligors. Simply, administrators do not want the contingent liability on their books. This kind of contingent liability could make your dealership unsellable, however. So, although administrator obligor removes contingent liability from your dealership, be careful. Many unscrupulous administrators look at ways to minimize claim risk by adding gimmicks and gotchas to their warranty contracts so claim coverage can easily be denied at time of claim, and can expand contingent liability on a dealership. This can ultimately damage the relationship of the dealership with the customer. These agreements are written in a way to expand contingent liability for a dealer, and often violate Magnuson-Moss, which governs limited warranties. Violating Magnuson-Moss can set up a dealership for a class action lawsuit. Ultimately, this puts the dealer in the position of being the bad guy. The consumer may think he’s covered when he’s not. For example, a customer’s limited warranty may be voided because he didn’t have vehicle maintenance done at the selling dealership, or did not get prior authorization to get necessary maintenance performed away from it. Both scenarios violate the FTC Magnuson-Moss Act “tie back” provision. 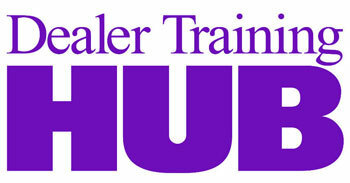 Don’t let an unscrupulous administrator put your dealership in harm’s way. Take some time to research administrators who provide honest, straightforward warranties—administrators who look out for the best interests of customer and dealerships as well as themselves. They are out there. Consider offering a lifetime limited powertrain warranty that’s administered by a third-party obligor to avoid dealer obligor programs. You can tell a limited warranty is administrator obligor if it specifically reads that the limited warranty is between the consumer and the “named administrative company” that is the administrator obligor. The lifetime warranty should cover all the major powertrain components: engine, transmission, axle, and even seals and gaskets, as well as free towing and roadside assistance. The administrating company and representatives should provide comprehensive, dealer-branded marketing materials, education and training, digital content, videos, and guidance. The warranty should be included at no additional cost to the purchaser of the vehicle. 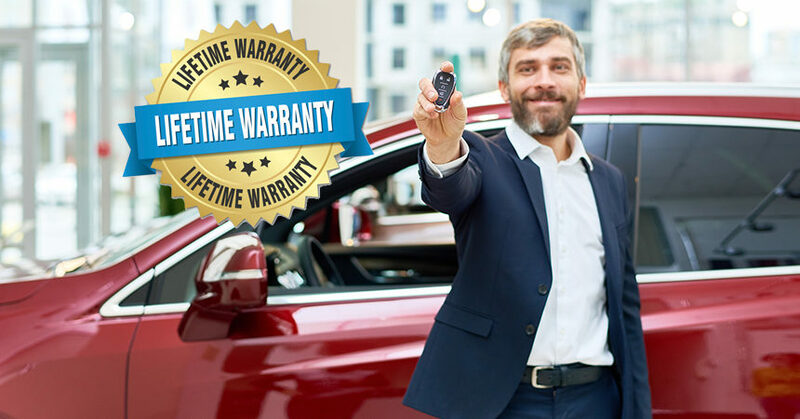 Best of all, offering a lifetime warranty makes dealers better positioned to separate themselves from the competition, and enables customers to feel more secure with their purchase. It’s what my Dale Carnegie training course called a win-win, and the best way to start and build a lasting relationship with customers. Contact Binary Automotive Solutions at sales@binaryauto.com or 888-883-8557, ext. 307, to learn more about the warranty programs, tools, and training you’ll need to start building lasting customer relationships.